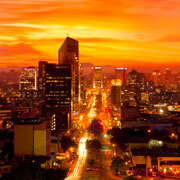 • Watch the Sunset on the Pacific Ocean in Lima and enjoy the city’s stunning architecture. • Explore Cusco, the Capital of the Incan Empire and discover its awe – inspiring streets and Pre-Hispanic buildings. • Savor Peruvian cuisine, with its exquisite and unique flavors. It has been recognized around the world as some of the finest there is. • Be dazzled by the unparalleled beauty of the Sacred Valley and its ancient Incan monuments and villages. • Experience the amazing flight of the condor, the massive bird which has been honored for years in Peru. • Discover the most spectacular of the Incan sites and one of the seven wonders of the world, Machu Picchu. • You will feel on the top of the world! Take an amazing 14-day trip across the high Andes of Peru and Bolivia. After a visit to Lima, fly to the capital of the Inca Empire, Cusco. Get acclimated to 11,500 feet of elevation, then tour the Sacred Valley and Machu Picchu. After visiting one of the Seven Wonders of the World, we take a luxury tourist bus as we travel to Puno and Lake Titicaca, stopping in on impressive sites along the way. The following day, we will meet the island communities of Uros and Taquile. From here, we will make our way to Bolivia. We will tour the capital city of La Paz and the largest salt lake in the world, “Salar de Uyuni”. Returning to La Paz, you will take your flight to you next destination. Upon your arrival to the Lima Airport, you will be welcomed by one of our representatives, who will provide a brief introduction to the city and our services while driving you to your hotel in Miraflores. You will have the remainder of the day free to relax and get acquainted with the city at your own pace. Depending on your arrival time, we have plenty of suggestions for you so you can make the most of your first day in Lima. Spanish colonial architecture and impressive government buildings like the Plaza San Martin, Paseo de la República, Plaza Mayor, Museum of the Central Bank and the convent of San Francisco. We will move on to the districts of San Isidro and Miraflores to see a different and more modern side of Lima. Here you will have a chance to do some shopping and eat at some great restaurants before the end of this full day tour. 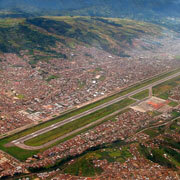 Early in the morning, we will take you to the Lima airport to catch your flight to Cusco. 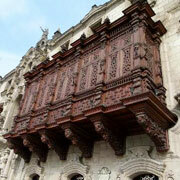 Upon arrival, we will meet you at the Cusco airport and transfer you to your hotel. From there you will take a short walking tour to help you get oriented with this pedestrian city. You have the rest of the day acclimatize to the 11,500 feet elevation and explore this ancient city and its many markets, bars and restaurants. After breakfast, we will pick you up from your hotel and start our tour of the Sacred Valley. We will visit the quiet Andean town of Pisac and their colorful craft and clothing market after we visit the extensive ancient ruins above this pueblo. On our way to the location of the Inca’s last stand against the Spanish, Ollantaytambo, we stop in the town of Urubamba for lunch. We tour the incredible ruins of Ollantaytambo and then catch the train to the town of Aguas Calientes that sits at the base of Machu Picchu. 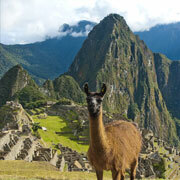 Stay the night at your hotel and get ready for your tour of the Machu Picchu Sanctuary the next day. We will rise early in the morning in order to have breakfast and beat the crowds to the “Lost City” of Machu Picchu. We will take a shared bus to the gate of this citadel for a two-hour guided tour. Your will visit the highlights of these ruins and learn about Inca architecture and the significance of the important buildings like the “Temple of the Sun”, Intihuatana(Sun Dial) and the Plaza Mayor. You will then have the rest of the afternoon to explore the site on your own before returning to Aguas Calientes and take the train back to Cusco. We will set out in the morning and take the Fortress of Sacsayhuamán, one of the most important military and ceremonial centers if Inca times. We will continue for a walk through the main square, explore the Cathedral and admire its exquisite vestibules and priceless paintings from the Cusco school of the 17th and 18th centuries. Just a few blocks away, the temple of the sun, Koricancha, awaits. Before plundered by the Spanish, the interior walls of this temple were covered in gold. As we make our way to the lower part of the city, we stop off at the San Pedro Market where you will be mesmerized by the variety of unique fruits, meats, textiles and prepared dishes available. This might be a good chance to try Guinuea Pig or Caldo de Gallina, both traditional must try dishes. After breakfast, we head to the bus terminal and take a luxury tourist bus to Puno. On the way, we can admire the Andean landscapes as we make stops at the Andean villages of Pukara, La Raya, Raqchi and Andahuaylillas (lunch included). In the afternoon we arrive in Puno. The rest of the day is at your leisure. We recommend a short walk to the port of Puno to get a feel for the immense beauty of the lake and the adventure for the coming day. After a hearty breakfast, we take you to the port of Puno to start a full day boat tour of Lake Titicaca and its islands. First, we visit the man-made reed islands of Uros. 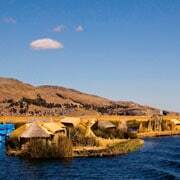 The ancient culture of the Uros live on floating islands made of natural reeds that grow in the lake. These reeds are also used to build boats, houses and many other important items. Our next stop is the natural island of Taquile. These islanders, somewhat isolated from the mainland, still maintain their traditional lifestyle and are famous for their colorful weavings for blankets and clothing. After lunch, we take a walk across the beautiful island to take in the grandeur and some photos. We then return to the mainland where you will have the evening free at leisure. In the morning, we travel to the capital of Bolivia, La Paz. You have three options to choose from in order to get there. Take a luxurious Catamaran, tourist bus that makes stops on the way to explore sites of interest or by faster private transport. Any option you choose is incredible so make sure to pick the one that is right for you. We set out early in the morning for a drive to Oruro so we can catch the train to Uyini. Uyini is the largest salt flat in the world and undoubtedly the main attraction of Bolivia. The seven-hour train ride is an experience in itself as you transition from the Andean Altiplano to the Salt desert arriving at 22:30 pm. If you would prefer not to travel by train, flights are available to Uyuni. We start early in the morning and visit the ecological museum, “Cántaros de Chantani”. Then we climb the Tunupa Volcano to the first lookout point. Here we take a break and enjoy the breathtaking panorama and then make our way to the peak of the volcano. Along the way, we visit “Los Chullpares de Coquesa”, a burial site with four mummies. At the peak of the volcano, we take a short break before our descent and return trip to Uyuni. Upon arrival, you will catch your flight back to La Paz. We start a city tour of Bolivia’s capital in the morning visiting the center of La Paz which includes the Main Plaza, the Cathedral, the National Congress building and the Government Palace. We continue the tour visiting the Museum of Precious Metals where you will be able to see the finest silversmiths, pre-Colombian ceramics, and artifacts from the Aymara, Mollo, Wankarani, Chiripa, Tiwanaku and Inca cultures. We then leave the city center and heads towards the Valley of the Moon. On the way we pass the “Zona Sur”, the most populated and lowest situated district of La Paz. When you arrive to the Valley of the Moon you will be able to see numerous crevices, mounds and crater like formations that gives you the feeling of being on the moon. With a bit of luck, we will be able to the Vizcacha, a rare mouse indigenous to the area. 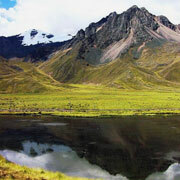 Returning to La Paz, we will visit Killi Killi. From this viewpoint, you will have an impressive view of the entire city and Mount Illani. At the end of the day, we will visit the Witches’ Market where you will be able to find a wide variety of occult objects and herbs. Stay the night in a hotel in La Paz. Today we say goodbye to the Andes. At the appropriate time, we will bring you to the La Paz International Airport to take your flight home. Hotel accommodations for 13 nights with breakfast, as described in the itinerary. Private transportations hotel / airport in every destination. Private guided excursions as described in the itinerary. Train tickets to & from Machu Picchu. Bus tickets to & from Machu Picchu. Lake Titicaca excursions in shared service. Panoramic bus tickets Cusco – Puno. Panoramic bus tickets: Puno – La Paz. Train tickets from Oruro to Uyuni. International & domestic airfares, unless specifically mentioned. Items of personal nature such as gratuities, internet charges, excess baggage charges, laundry, beverages and meals not described in the itinerary.